An eye-catching pair of halo earrings set with glimmering cubic zirconia for a splash of sparkle. Styled in sleek sterling silver for a fresh, contemporary feel. Perfect teamed with a matching pendant for a coordinated look. 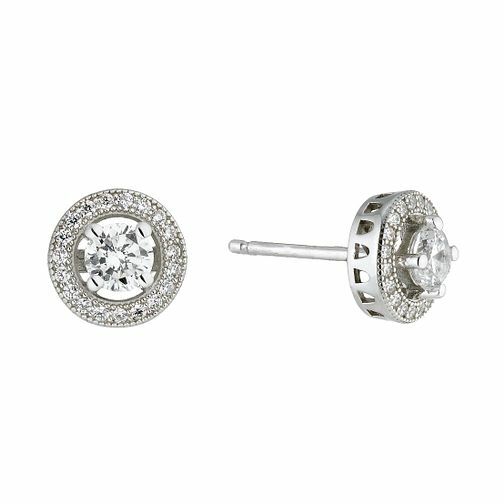 Sterling Silver Cubic Zirconia Halo Earrings is rated 4.1 out of 5 by 7. Rated 5 out of 5 by Anonymous from Great Look more expensive than they really are. Pretty and sparkly. Good service. Pleased.